Ys Net has revealed the final tally for the Shenmue III crowdfunding campaign: $7,179,510 USD. The highly anticipated third chapter in the Shenmue saga was revealed to be in development at E3 2015 when series creator Yu Suzuki appeared on the stage of Sony’s conference to announce the crowdfunding campaign on Kickstarter. This surprise reveal on such an important venue for gaming led Shenmue III to become the most funded video game project in the history of Kickstarter with $6,333,295 USD. However, the developers have since opened a slacker backer campaign that allowed fans to pledge via PayPal; this campaign has now closed and the final result is the one mentioned above. Overall, it’s a far cry from the $200 million USD made by the undisputed king of crowdfunding, Star Citizen. It has to be said that’s not the entire budget of the game, though. In fact, according to Yu Suzuki, the scope has been increased thanks to the deal made with Deep Silver (now owned by THQ Nordic), which will publish the game globally. 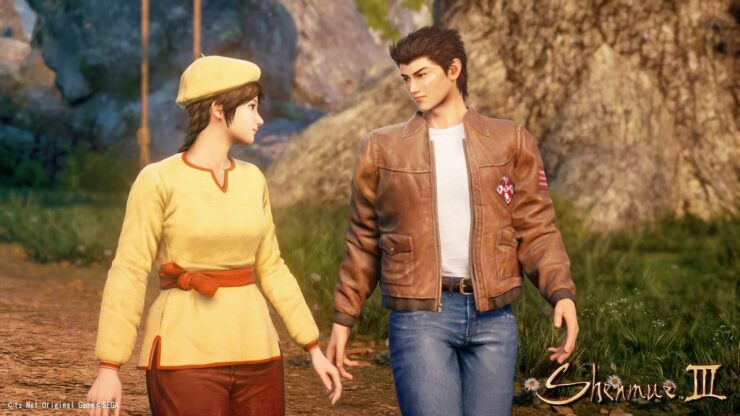 Shenmue III is now expected to be released for PC and PlayStation 4 on August 27th, 2019. Preliminary minimum requirements have already been shared by the development team, in case you’re curious about that. The brainchild of award-winning game director, Yu Suzuki, Shenmue is commonly known as one of the most ambitious game projects in history, which captured the imagination of players from around the world. Shenmue established the open-world format for action RPG games. An awe-inspiring world with an immersive story, featuring cinematic sequences, a realistic fighting system, and entertaining mini-games, Shenmue garnered acclaim and adoration all over the world. Shenmue III sees the eagerly anticipated continuation of the epic story-driven saga. Take control of Ryo Hazuki, a teenage martial artist, determined to unravel the mystery behind his father’s murder and to exact revenge on the killer. Explore a vibrant, colourful open world, meet intriguing characters and endeavour on a cinematic adventure which will take you further into enemy territory and deeper into the mystery of the Phoenix Mirror.